Surprised this thread has been quiet in relation to Zidane leaving Real. i dont think we wamt to be hurt any more than we feel now bud. But it would solve so many probs IF that meeting between Roman and ZZ not that long back many presumed thought it was to discuss the Eden/Asensio swap really turned out to be Roman asking him to jump ship!!! Eden would be on fire in the WC. I remember it as if it was yesterday. One of the best deals the club ever made. A signing which fans were pushing for for ages and then the board finally gave in. Wish we would see more of our old shrewd transfer dealing today. Our triumph in Munich probably played a bigger part than the board's eagerness. Eden Hazard is anxious to know which manager he will be playing for and which players will arrive at Chelsea next season. While Liverpool, Manchester United and Arsenal have already been active in the transfer market this summer, uncertainty persists at Stamford Bridge, particularly with regards to the future of boss Antonio Conte, who has a year left on his contract. Hazard, who has two years left on his Chelsea deal, is on national team duty with Belgium getting ready for the World Cup, where they have been drawn to play in Group G alongside England, Panama and Tunisia. Despite helping the Blues win the FA Cup, Hazard admitted he was disappointed with last season's campaign and is keen for clarity about what the future holds for Chelsea next term. "At the moment I only focus on the World Cup," said Hazard at Belgium's pre-World Cup training camp in Brussels. "We had a bad season with Chelsea. We won the FA Cup at the end - so it was a little bit better but I'm only focused on the World Cup. "Then I let the board manage Chelsea the best way that they can." Asked whether his Chelsea future was linked to who is in charge at Stamford Bridge and players that might arrive in the summer, Hazard said: "Yeah I want to know. I want to know, but like I say I am focused on the World Cup. "If we have something new - manager or players - it is always good to know it because I want players that can [help bring success back to] Chelsea next season. But to be fair the transfer market is not here [in full flow] yet. We will see after." 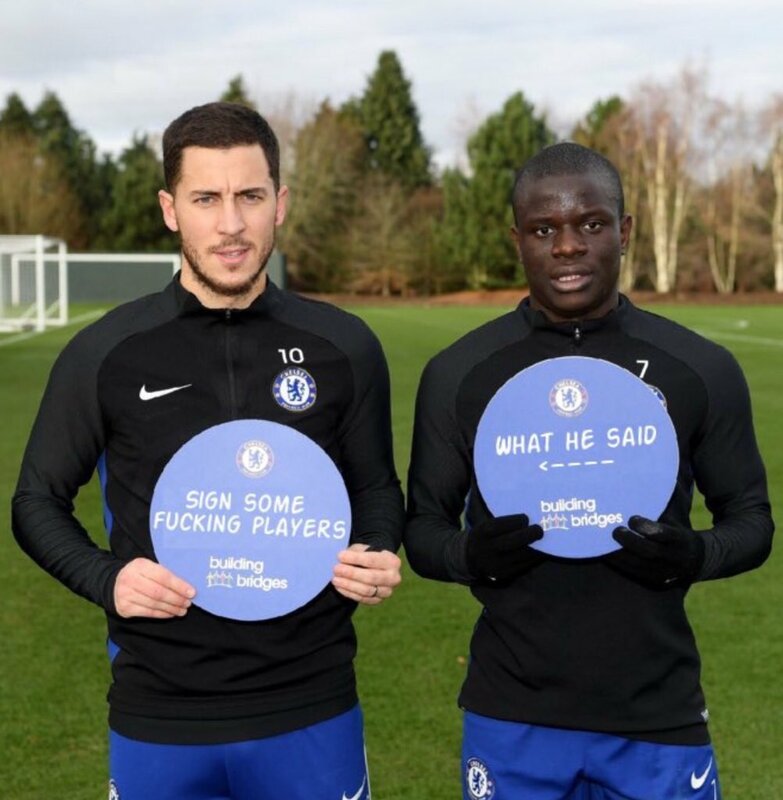 Saying exactly what we are all wanting, serious shots fired here IMO, the board now need to step up and deliver the quality of players both Hazard and the team requires. Dead simple, deliver the goods and he stays, labour and he's off. He's hardly making the demands Sky and inferring. He's been here long enough to know how this club operates with management. More concerning though is that he limped off with a thigh injury. Hopefully it is nothing serious and it is just a little knock and he can be fit for the WC opener. Martinez and Lukaku said in interview afterwards he's okay just a knock. It wasn't a thigh injury. One of Costa Rica players tackled him and caught him with his studs just below the knee/above the shinn protectors. Hopefully it's nothing, he's in great form atm, best player on the pitch by a country mile tonight and in the last 3 games. He looked as if he had accidently strolled onto a Sunday League pitch against Costa Rica. It was soo easy for Eden the rest looked embarrassed to be playing on the same field as him.